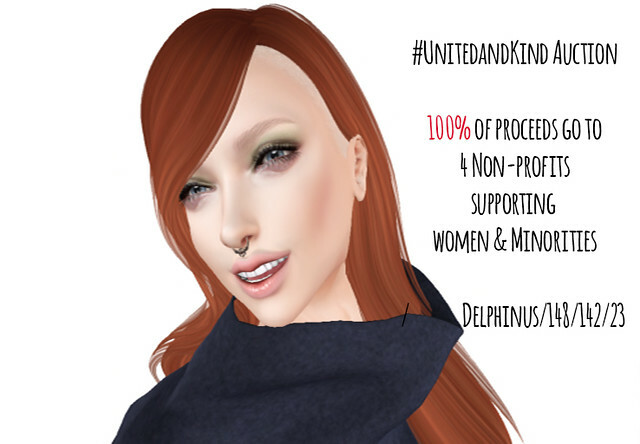 I am going up for auction at the #UnitedandKind charity event, which is raising great organizations like the Trevor Project! The event starts tomorrow and runs until December 11th. 2) Engaging discussion of philosophical questions about life and the metaverse, whether about Foucault or what it was like to be pre-sculptie living in the world of mesh! 3) One piece of custom jewelry designed together and within my skill set. It can be exclusively yours, or can be put on my Marketplace in a different variation of colors/metal. Please note that I have to schedule these after December, Early-January as I currently work retail and the next months will be busy without a chance for much time for SL or other related things!